BizSugar Blog » The Cost of Social Media: Is It Too High? The Cost of Social Media: Is It Too High? The topic of social media is a mixed bag for many. I know, that seems hard to believe, right? Everyone has jumped onto the social media bandwagon – haven’t they? Not exactly. Especially when it comes to small businesses in particular. And for some, the cost of social media is too high. I know you’re scratching your head, “What do you mean, it’s free!” Again, not exactly. Having said that, there are enormous amounts of individuals with Facebook and Twitter profiles these days. If sites like Facebook and Twitter don’t happen to generate a lot of leads for you, they can be instrumental in efficient customer service. Here’s an example I recently heard. It was game day and and a gentlemen just settled into his favorite chair to enjoy the event – and the cable service went out. He didn’t bother to telephone the cable provider, instead he jumped onto Twitter to vent his frustration. To his surprise, within minutes, a representative of the cable company who had been monitoring the Twitter account responded, sent a new signal to his cable box, and moments later – game on. Now I don’t know about you, but if you’ve ever been trapped in a service providers automated system waiting for a representative to appear on the line – you can see the value here. As with anything, pros and cons are involved. 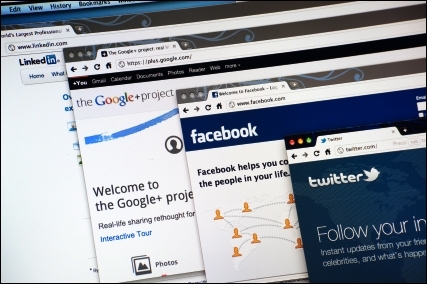 Check out this article, “Are You Wasting Your Time on Facebook and Twitter?,” where those pros and cons are touched upon along with some examples of how social media is being successfully used by small businesses – and how the time spent was worth the payoff. After reading the article, come back and give us your thoughts – tell us, is the cost of social media too high for your small business? Read more in Social Media. I can definitely see how reaching customers via social media could be really tough when you’re only a single person business or even with just a few employees. Social media is nice but it can eat up loads of time. Given everything that a business needs to get done every day to survive, social media may end up slipping through the cracks. I can’t even keep up with social media for my personal blog! I think for most small businesses they just don’t know where to start. To be honest though, if you have a specific marketing plan for social media, you can maintain and engage with prospects and customers in no time at all. Debra, I go to quite a few networking events and speak to business owners – many of them say exactly what you mentioned – i.e. they want to get into social media but they don’t know where to start – or they just don’t have time. It’s a common problem. Each business needs to think carefully about what they want to achieve from social media, and then come up with a do-able strategy that works for their organisation. They may need to consult with a social media specialist to crystallize their ideas – or they may simply decide it’s not for them. Debra, that’s so true. Social media is complex and confusing. But if you take the time to step back, look at your overall marketing strategy and how to fit social media in with it, you can accomplish a lot quickly. It’s a mistake to not take that step, though. I think it needs to be a consideration of a balanced overall strategy. Whether do it at all (especially if resources are limited), and, equally important, which vehicles and how to best use them. The cost of social media will always relate to return achieved, and as Duncan has said, that’s why social media needs to integrated into the overall business strategy. Lots of small businesses make the mistake of jumping in without having any plan. I run a small marketing biz. just to help small biz. owners make the most of social media. I don’t charge a lot but I often act as a pinch hitter for some clients, and a full on SM mgr for others. I simply get to know their brand and vision and create content they can really benefit from. I see the pages that fall by the wayside and it doesn’t look good. Some ppl should deactivate if they can’t commit. I think everyone above is right. It takes time to crystallise exactly how to connect to your audience or customer base in an effective way. Just like Marcie commented in the original article if you pinpoint who your customers are, where they are, what are they talking about and how to sell to them without outright selling and tailor your product/service in response to that, then even with a basic social media strategy, eventually, you’ll see positive, measurable results. It’s time-consuming but if the strategy is right, it’s time well spent. If the strategy is wrong, I believe, it’s still time well spent looking for the right strategy, lol! Theoretically, at least – I’ll let you know when I’ve cracked it, lol! As a freelance marketing consultant, I sometimes find it difficult to be consistent in updating my own social media feeds but try and set aside enough time to include this in my own marketing planning. Derek is quite right, if your strategy is right it’s time well spent and integrated into your overall marketing mix, should start to deliver results. exactly how much content should i mirror on social media? So far i reserve that space for high profit items. next question what’s the best strategy to get viewers to friend my site and/or follow me on twitter?